Be part of the hype, energy and fun of this year's Stereosonic music festival. Stereosonic is Australia's premier electronic music event now in its fourth year. 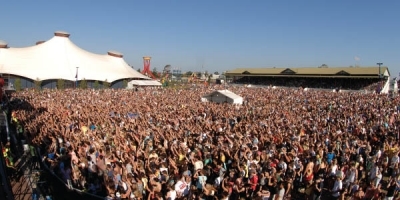 Having outgrown its original Eagle Farm venue due to crowd size and popularity, Stereosonic will now be moving back to the Brisbane RNA Showgrounds. In 2010, Stereosonic boasts its best lineup ever with acts including Calvin Harris, Carl Cox, Major Lazer and much much more. BookToday has a wide range of Stereosonic accommodation options. Come and be a part of the hype and energy taking Australia by storm. We have the best budget accommodation deals in Brisbane. If you require further assistance with your booking, please call 1300 733 274 and speak with one of our friendly customer service assistants.